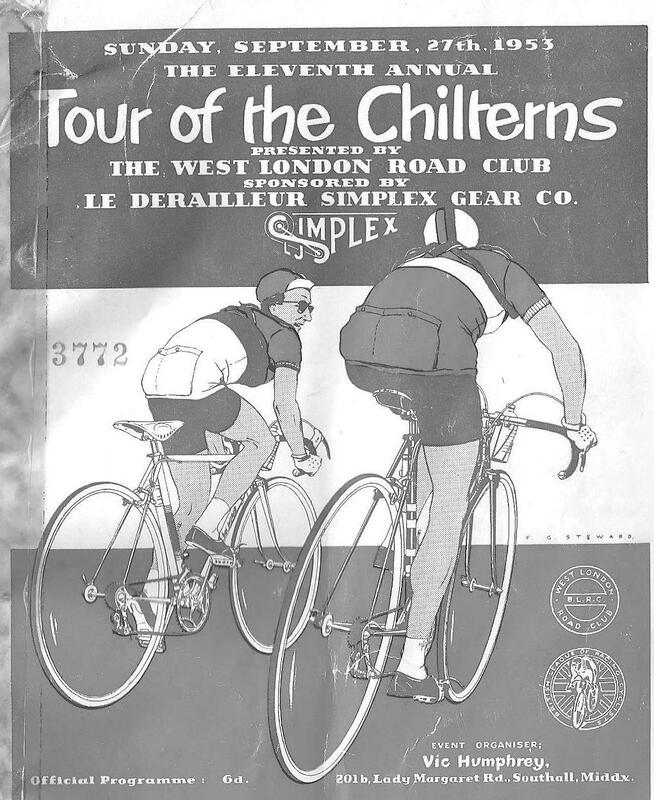 The Green Jersey wasn’t always a Sprint Fest. In the Cav era the expectation is that the green jersey contenders will spend most of the Tour in the laughing group and pop up now and then to win a stage. 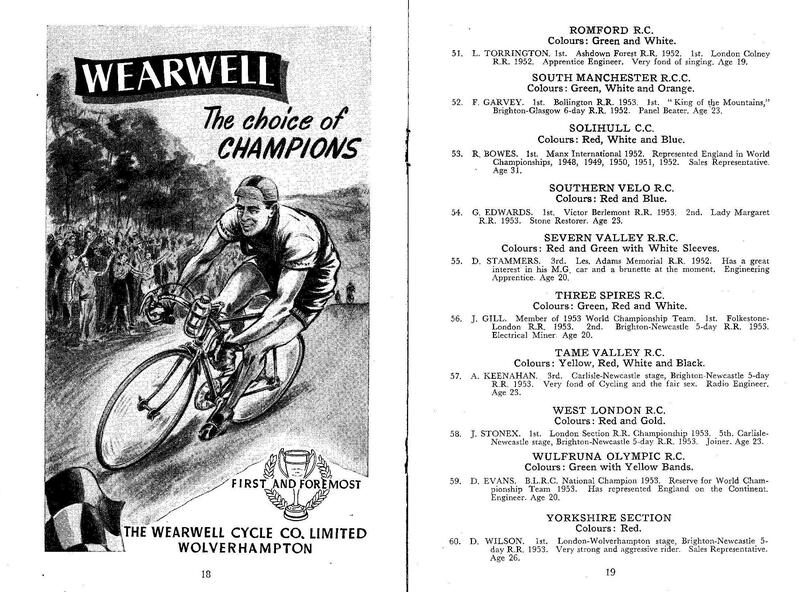 Back in the fifties it was different and don’t get confused by Cav/Darrigade comparisons. All they share is having won twenty plus stages and a rainbow jersey but the Frenchman was far more complete than the Manxman. 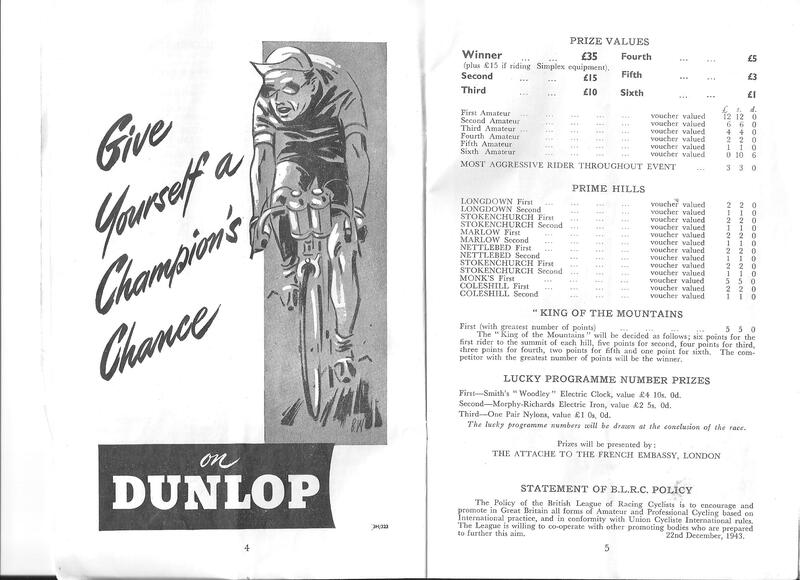 Check out the top twelve in the green jersey competion in the 1959 Tour and then look at their positions overall. They are all beyond Cav’s wildest dreams. Even Oscar couldn’t compete with this lot. I haven’t a clue how the points were awarded but I see that in the previous Tour the Points winner had the lowest total so presumably that year it was one point for the win and so on. 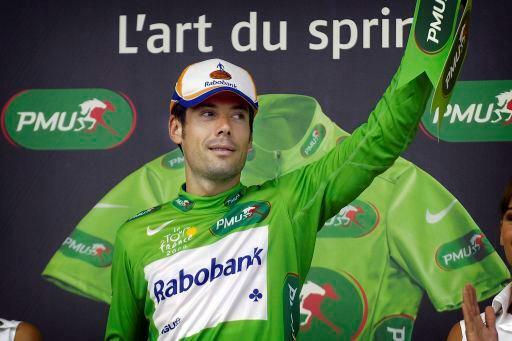 Green jersey posn. Points total Overall posn. 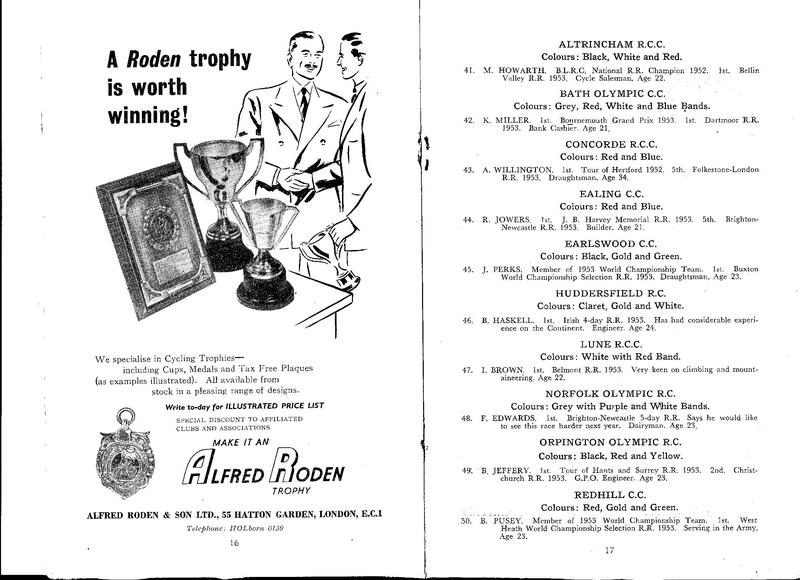 Here is the programme. Some race eh? 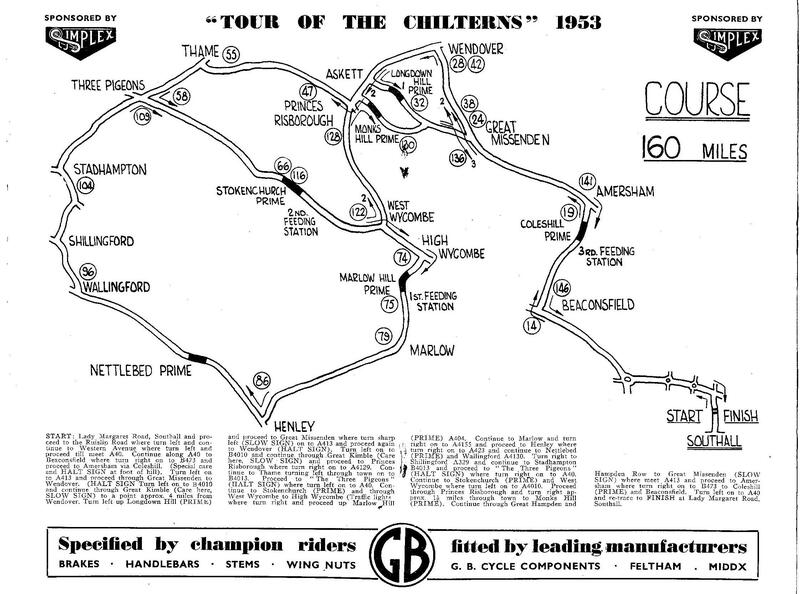 160 hilly miles, it should have been the UK’s version of the Tour of Flanders. Not sure about the Southall finish though! Click on the pages to enlarge. You will see that there is a lucky programme draw (third prize a pair of nylons! ), My copy is numbered 3772. Did they really flog that many programmes at 6d a pop and if so, who to? 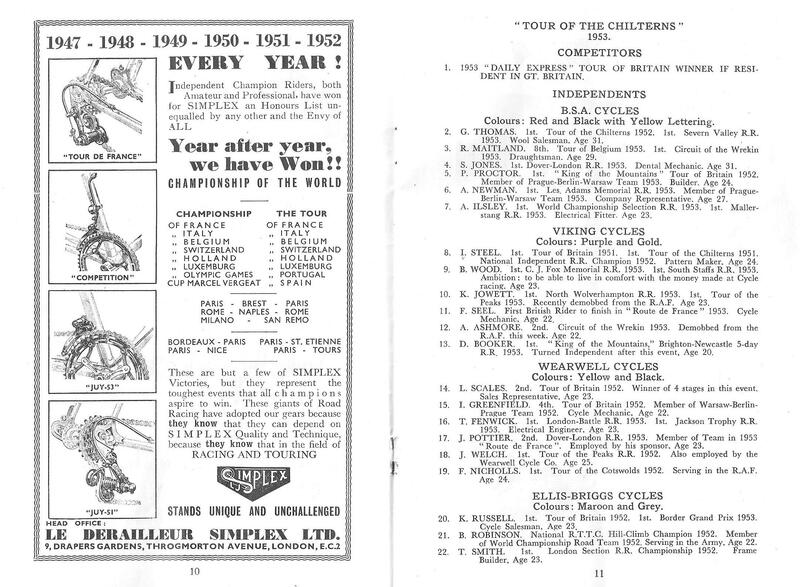 Now I don’t want to big up greenjersey but it is remarkable how many hits I get about the Kirkby CC and its predecessor the Melling Wheelers. I guess too many old cyclists are idling their time away in front of the computer instead of getting the miles in. 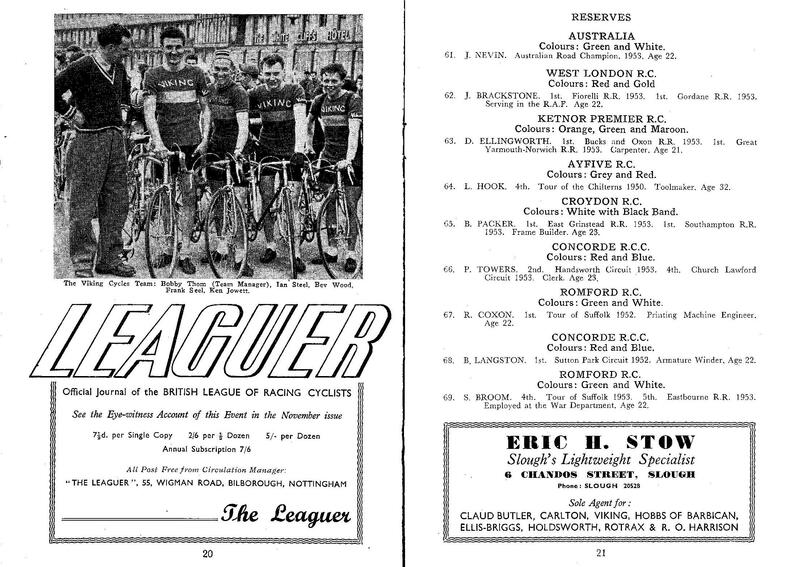 I was sent these photos by Phil Squires who tells me he was a “social” member of the Wheelers. 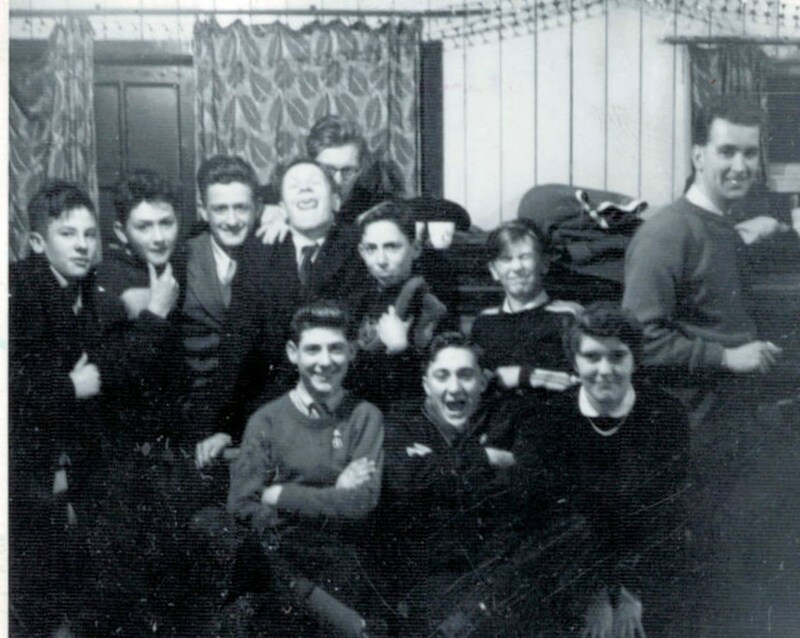 If you recognise any of these young scallies post a comment. The bottom photo is of the Melling Wheelers team pursuit squad with the National champs trophy. 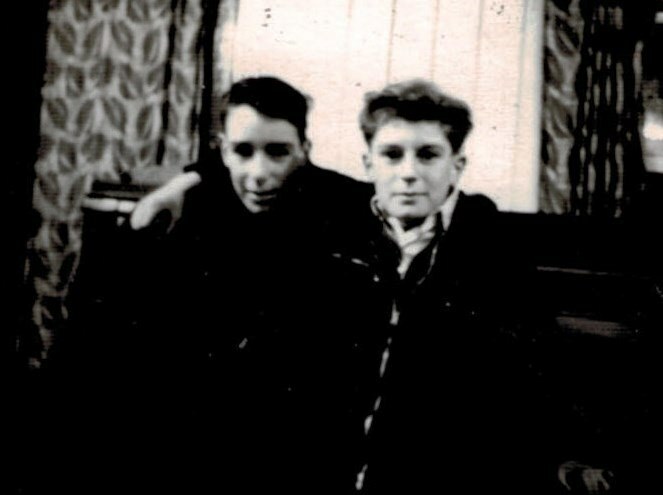 From left we have Joe McLean, George Evans (maybe), Eddie Soens, Dave Telfer (maybe) and Charlie McCoy. This is Team GB (as it was not known) at the start of the Tour of Austria in, I think, 1956. Under the flag is my old mate Johnny Brackstone West London Road Club.